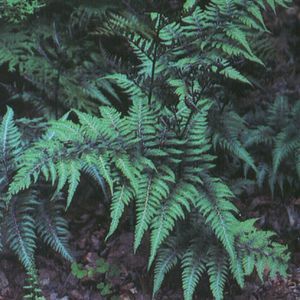 A deciduous spreading fern with beautiful triangular blades in shades of burgundy, red gray, and dark green. The best color is develped in cool light shade. Perennial Plant of the Year in 2004.